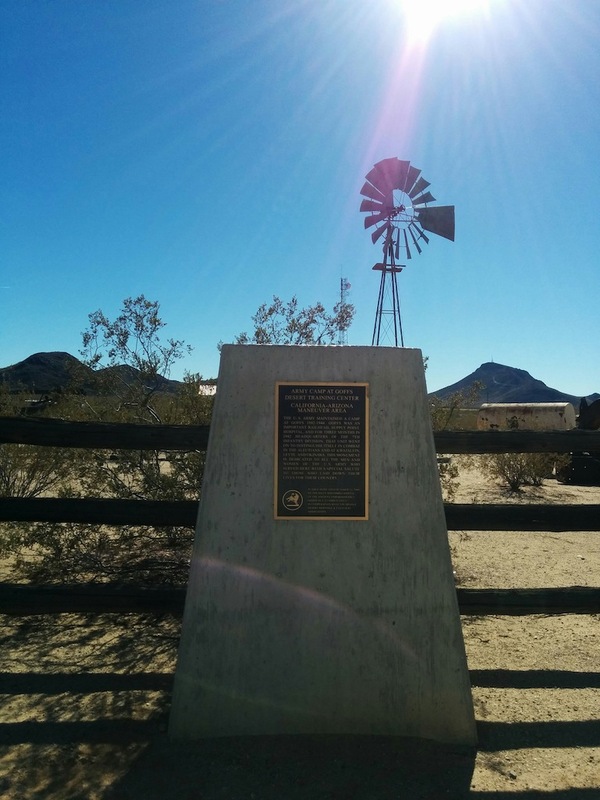 While wandering within the Mojave National Preserve we came across the tiny hamlet of Goffs. 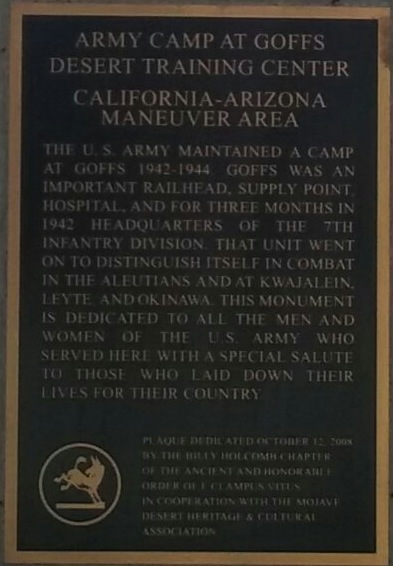 I remembered reading a blurb in passing about Goffs having something special to see when in the area so we go to find “it” which is not too hard as there is only one road in town and a brightly painted old railroad depot sticks out prominently in the surrounding area. 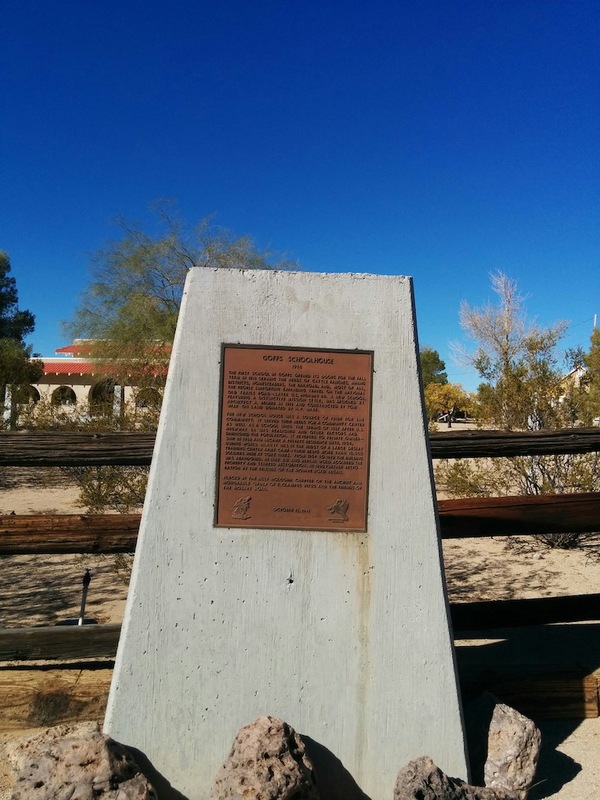 What we found is the Mojave Desert Heritage and Cultural Association. Sadly we found that it is only open Saturday – Monday or with an appointment and we happened to be stopping by on a Thursday and appointment-less. Bummer. We added this to our “Next Time List” but stopped to take a couple quick pics of the historical markers set up in the driveway. 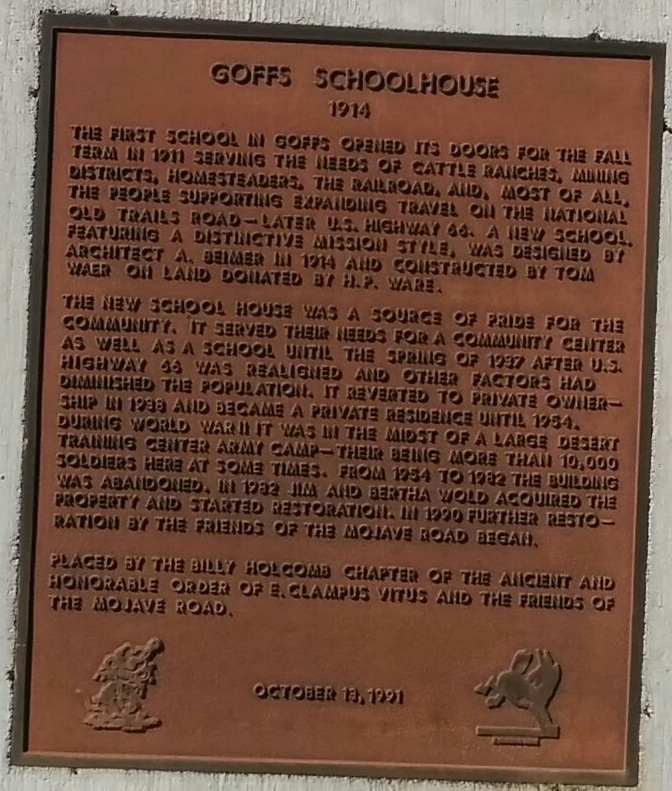 Since driving away from Goffs we’ve learned more about the MDHCA and its mission and feel compelled to come again when it is open to explore the historic offerings.